It has been nearly two or three years since your last release. How has life changed for you and what factors attributed to your absence? I was honing my craft, finding myself, discovering how I want to deliver this message to my listeners. But believe me if it were up to me I'd have something new every year. You recently released Awakening on Duck Down Music. What did you want to deliver with this project? 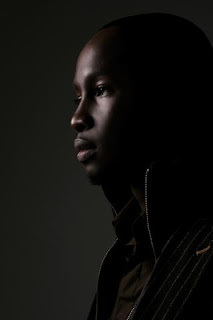 Truth, a refreshing awakening of good music; unveiling of lies. How did the partnership with Duck Down Music come about? They were looking for who/what's 'Next' and I guess they found it :). They invited me out to NYC after hearing some of my music and the chemistry was organic. It was like a family affair, so we decided to try this partnership/management and see where it takes us. In 2008, you released More Than Music and it showcased your ability to rhyme alongside some of the underground's elite. Awakening does not have as many features. Was this intentional? Who is featured on the project? Definitely intentional, the critics complained it was an amazing project but had to many collabs and that they'd love to hear more 'Promise'. I'm all for the people and with this being my first major release, my world premiere if you will, I gave them just that. Featured on this project are Jhene Aiko, Greg Sczebel, The World Famous Tony Williams, Slakah the Beatchild and many others. How does Awakening differ from More Than Music? 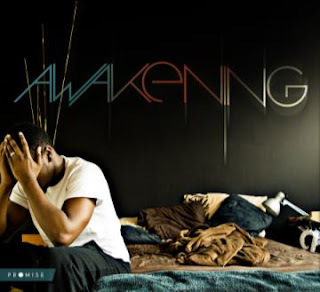 Awakening best represents my style/delivery, especially because I was the sole executive producer of the project. More Than Music had a bit of a more laid back feel as my comrades at the time were very r&b/pop influenced (not a problem as my genre is HipHopSoul but some listeners complained it lacked that certain hip-hop element). I tried to fix/bridge that one this and cover all bases. One of my favorite songs from Awakening is "Back When (Things Were Simple)." What was the concept of the song and what motivated you to write the track? I was heavily motivated by the title given by the producer, The Arcitype, and the vibe he created. All my lyrics are usually influenced by my life or the lives of those around me. I appreciate that artists such as yourself, Shad K., Braille, Theory Hazit etc present universal music meaning that you guys operate outside the traditional (Christian) box. What are some obstacles that you have faced as an artist that presents positive music? Just about everything. From being not "Christian" enough for the church, or too "Church" for the world. I'm glad that real recognizes real and few can deny skill. Once I was mature enough to realize I could be myself the pressure lifted and I was in a different ball game. It's funny because Christianity is my faith not my genre, but let's not get into that. That's for another interview at another time lol. I also noticed that you refrain from cursing or dropping terms of endearment in your music. Is this a byproduct of your upbringing and your ability to value words? Both. I am as real as they come lol so whatchu see is whatchu get, I try to be the same on stage, off stage and on record. I don't swear, so you won't hear me swearing on record to please a crowd. The power of life and death is in the tongue and anyone who doesn't respect/understand that shouldn't be behind a mic. You can quote me on that/tweet that lol. You have been making music since 2000. What motivates you to continue making music? This is what I've been doing full-time. This is my passion, my purpose, anything I do will stem from my love for God and music. Life motivates me to keep making music, and sometimes music motivates me. When I listen to someone's song and I get inspired to create something original its a GREAT feeling. Sewing seeds, saving souls through music. Seeing people transformed by the love of God is beautiful. How is the married life? Your writing is very sincere and straight forward. You also have a grasp of poetical techniques such as internal rhymes, alliteration and more. Describe your writing process for the masses. I let the music speak to me, then I speak on it. I'm big on vibes, certain chords evoke certain feelings (sad/happy/angry, etc). You gotta listen to the music and match the emotion, and make sure it is in tune with the message, etc. I don't just write songs and try to fit em to beats. Rarely do I write a full song without music unless it just comes which happens but I don't practice that, I treat each song like a project. How is the hip-hop scene in Toronto? Follow me on Twitter (comes right to my BlackBerry, holler at me on bbm), visit My Website, add/like me on Facebook (but don't poke me, that's just weird I'm married and I'm ticklish lol). Add me on Twitter. Not just to talk but to show these silly labels that people do want good music, they support numbers over talent, quantity over quality, let's show them we don't! Promise's album Awakening is available for purchase on iTunes. Click the Buy Now button below to support the talented emcee.